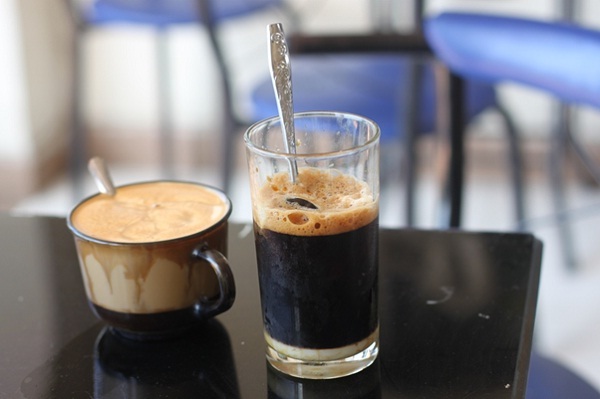 Although you can try Vietnamese authentic coffee in many cities throughout the country, once coming to Halong City, getting out of the Bai Chay Tourist Wharf, you should not miss a chance to try some Vietnamese Coffee at the Cafe 555. Exiting Bai Chay, you will walk about 100 meters to your right to reach this café shop. Situated among a row of shops by the main road, this coffee shop serves guests some potent coffee. Therefore, if you are interested in coffee, you will hit the first prize here. For those who are not a coffee lover, this café shop also serves other drinks. 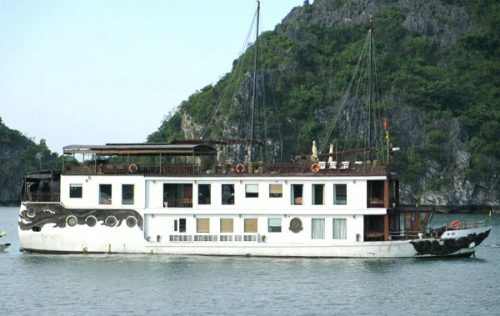 Halong City is an ideal place to indulge in the local Vietnamese food and beverages. 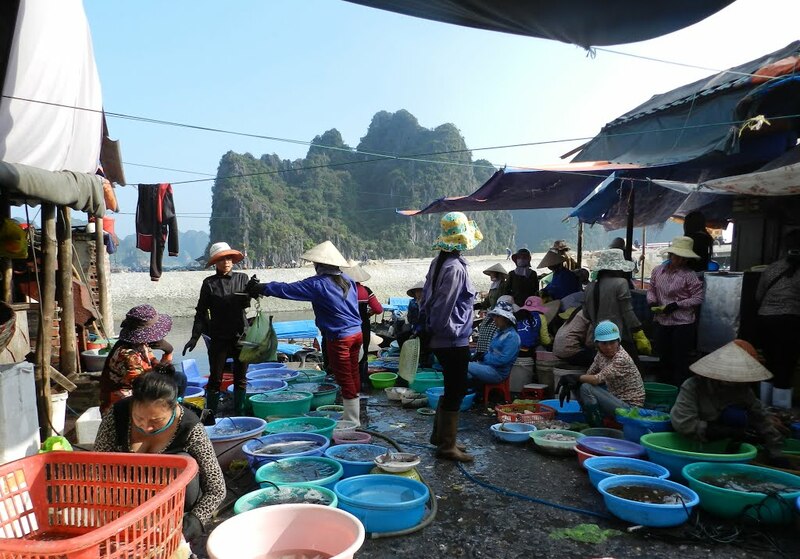 Inside and outside the Halong Market, you can find a wide selection of exotic foods available if you are up to it. Sold in the open area behind Halong Market, the Squid Cakes which are similar to Thai Fish Cakes are one of the must-try items in Halong. 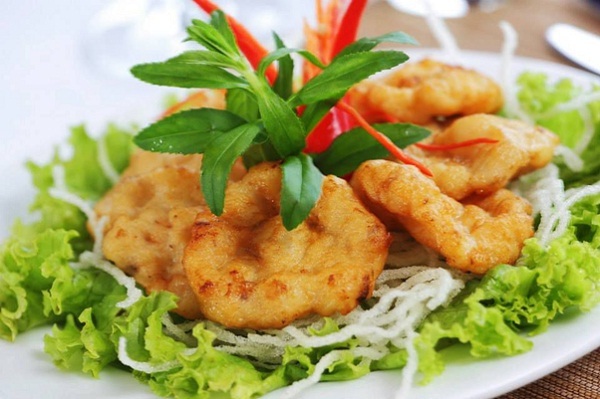 You can find this very tasty dish in a number of stalls at reasonably cheap price. If you stroll around to explore the wet market area, you will go across several local food delicacy stalls and of course, have a chance to sample all of them. The cooked or raw deep fried mini crabs are one of them. Also if your stomach is strong enough, you should not miss a chance to taste some of the spicy local mixed rice dishes and finally ease it with some healthy local Vietnamese Herbal Drinks. 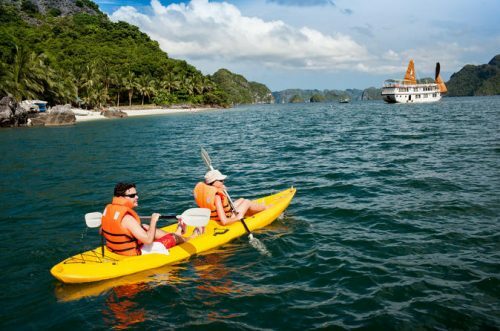 It is advisable to get some stunning local fruits for your overnight cruise of Halong Bay. Located about 10-15 minute drive from the wharf, by the main road to Bai Chay, Halong Bay Casino is the only casino in Halong Bay. To enter this casino, foreigners have to show their passport without paying any deposit. On the ground floor is a café lounge with slot machines open to all while there are two halls where they hold games with cards, one of which is on the ground floor and not open on weekdays while the primary hall is up on the first floor. 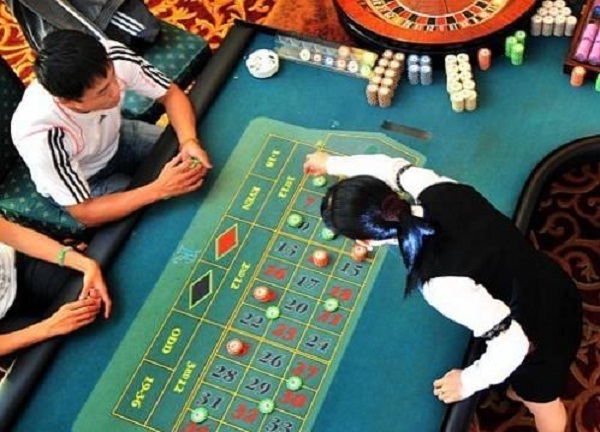 So if you are such a lucky person, why don’t you head on to the Halong Bay Casino.